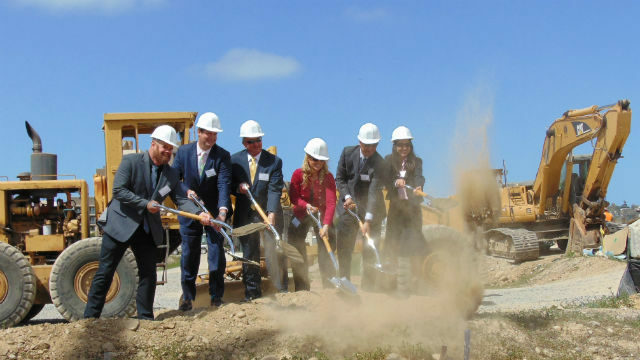 Chelsea Investment Corp. and Sudberry Properties broke ground Thursday on San Diego’s largest new affordable housing project, with a total of 306 units planned in the Civita community in Mission Valley. “We’re very proud to provide San Diego families and our elderly citizens affordable housing in an amazing community,” said Jodi Rothery, Chelsea Investment’s project manager for the development. She said she hoped the two-building, $137.5 million Stylus and Siena project would remove the “stigma” around affordable housing at a time when San Diego faces a housing challenge. 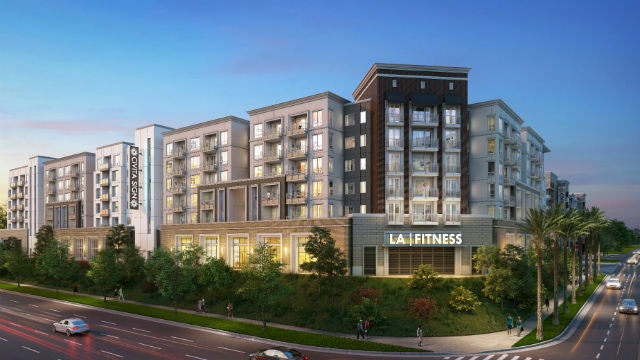 The Stylus and Siena apartments will include 203 units for families and 103 for seniors, three courtyards with picnic and barbecue areas, a club room and ground-floor retail. Rents for qualifying low-income residents start at $965 for families and $500 for seniors. Opening is expected in the spring of 2020. Chelsea Investment earlier developed the 150-unit Versa complex for seniors nearby in the 230-acre Civita community. Jim Schmid, founder and CEO of Chelsea, said he believed that building large projects like Stylus and Siena are the best way to increase the supply of affordable housing in San Diego. The site is across the street from Civita’s award-winning community park and near a trolley stations and planned elementary school. A rendering of the Stylus and Siena apartments under construction at Civita.